For more than a decade, Glenn Slater has been responsible for some of the greatest hits in the musical industry both in theatre and film. The Little Mermaid, Tangled or Sister Act are just the top of long list of pieces that has turned this author from New York into one of the most popular lyricists both on Broadway and in the animation field. In this new interview for Primera Fila, Guillermo Názara looks back on all the milestones of Slater’s career, apart from dealing with the writer’s new project with celebrated composer Andrew Lloyd Webber, Escuela de Rock, as well as some exclusive statements. How did you become interested in musical theatre? Did you always wanted to be a lyricist or were you also attracted to other fields (directing, composing, etc.)? I grew up just outside of New York City, to parents who were musical theatre fans. They began taking me to see Broadway shows when I was only 4 years old (for the record, the first one was the revival of “Gypsy” starring Angela Lansbury), and Broadway cast albums were always playing in our house. I also took piano lessons for many years, and after seeing a show would inevitably buy the folio of sheet music, so my ears and fingers became deeply attuned to “musical theatre” as a language. I was never particularly interested in performing, and I didn’t have any special theatre training growing up. I thought of myself as more of a songwriter, really, and more specifically as a composer; I only wrote lyrics as an afterthought, and then only rarely. But when I did, I had a sort of natural affinity for storytelling and for writing from a character’s point-of-view, almost certainly because of all those years of steeping myself in the musical theatre canon! The first professional musical you got involved in was an Off-Broadway production entitled How I Survived High School, in which you worked were you were only 17. How did you get the chance to take part in that project at that young age? Did it influence you in your career in any way? When I was in high school, I played keyboards in a rock band. I was always writing songs, but we were mainly a cover band, and I could never convince them to take a chance with new material. At about that time, the drama director of the school had decided to put together an original show; the idea was to do a sort of teenage version of “A Chorus Line”, with student-generated stories and poems capturing the real voice of American kids. In line with this idea, he also wanted to have a student write original music. I was growing rather frustrated with my band’s refusal to play my material when I saw the “songs wanted” poster for the show, and I volunteered immediately…and then turned out to be the only volunteer. Mostly, I set other kids’ poems to music, although I did write a few lyrics myself (and eventually even took a part in the show). The end result was funny and moving, and when we took the production to a theatre competition, we won a slew of awards. A New York producer happened to be in the audience that day, and thought that he could make something special of the piece; we made some changes, added a few new songs, re-thought the show for a cast of five, and opened off-Broadway in 1985. The show wasn’t even close to a hit, and the reviews were not particularly kind, but it had a huge influence on my career nonetheless: while I had always loved theatre, now I had really caught the bug, and from that point on I was truly committed to composing for musicals. You also wrote a show when you were in college, which was called Whiskey Business. What can you tell us about this piece? At Harvard, there’s a renowned institution called “The Hasty Pudding Club”; it’s been in existence for over a hundred years, and every year the club mounts a lavishly produced original musical with an all-male cast playing both male and female roles. I auditioned to write the score (just music) for Whiskey Business, which was set during the Prohibition era and involved flappers, mobsters and the like. I composed a number of smaller pieces as well, and after graduating came to New York City with every intention of becoming a composer. And then…I met some actual composers. And I realized very quickly that while I was a pretty good melodist, I simply didn’t have the compositional skills to make it on Broadway. I still wanted to tell stories, though, and I still couldn’t help but imagine my stories with songs in them. And so I gave up composing (completely, I haven’t written a note of music since), and re-made myself as a lyricist. I joined the BMI Musical Theatre Workshop in NYC, where I studied lyrics rigorously and learned how to collaborate with composers, and discovered that I was more naturally facile with words than I was with music. What is your process when you are writing a song? Every song has a different process, but almost always, it begins with sitting down with the composer, talking through the scene, and coming to a mutual understanding of the tone, the style, and what the song is trying to accomplish. I tend to prefer to work “music first” – I believe, fairly strongly, that music represents the emotional subtext of a scene, and that it’s far more crucial to get the those big unspoken cues right than the verbal nuances. So I will often toss out no more than a title or a phrase, and sit next to the composer at the piano while he (or she) plays around with it. When I hear something that matches what I’m hearing in my head, I’ll make some kind of excited sound (‘ooh! ooh! ooh! ), and the composer will use that as the basis for fleshing out a full melody; as the melody takes shape, I will ask for extra notes if I think I’ll need them, or fewer lines if it feels too long, and in general help shape the architecture of the song. Once the music feels solid, I will then go off and fill in the words. When I come back to the composer with a lyric, we will then haggle back and forth – fewer words here, extra notes there, little subtle changes to make everything clearer and more sing-able – until we have a “finished” product…which will inevitably go through more changes once we add the book, the performer, etc. Your first collaboration with composer Alan Menken was the film Home on Range. How did you get the opportunity to write with such a worldwide acclaimed musician? 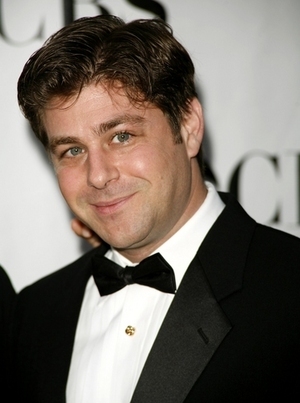 I had written a musical adaptation of the movie “Lost In America”, with a wonderful composer name Stephen Weiner. It would ultimately go unproduced (copyright issues), but someone from Disney came to see a workshop performance. Shortly after, we were invited to take part in a special program: Disney gave us an animated script to work with (in our case, “Marco Polo”, by a pre-Buffy Joss Whedon! ), and we wrote a six-song “practice” score, which we would told in advance would never be produced, but would give them a sense of how we worked. They seemed to love what we did, but months went by and nothing seemed to come of it. In the meantime, I had signed with my first agent…who also happened to represent Alan Menken. Several months later, he called and told me that Alan had been working on a project (a prequel to “Who Framed Roger Rabbit?”) with another lyricist, and it wasn’t working out. On the basis of the “Marco Polo” songs, Disney suggested my name as an alternative; Alan listened to the songs and felt that the lyrics reminded him of Howard Ashman’s; and suddenly I was up at Alan’s studio, with a few hastily scrawled lyrics in hand. It was only slightly intimidating walking into that room, filled with Oscars and Grammys and Golden Globes and the like! The film was meant to take place in the 1930’s; I’m pretty good at mimicking genres, and the lyrics I had brought were in the style of that era – a little Gerwshin-y, a little Cole Porter-y. Alan is also a style-driven writer, and as soon as we sat down at the piano together, something just clicked; we just understood each other immediately. The “Roger Rabbit” film was ultimately cancelled, but by the time it was, Alan had already been asked to work on “Sweating Bullets” (the original title of “Home On The Range”), and had asked me to join him on it. However, your most memorable work with Menken is the stage show Sister Act, a musical adaptation of the 90s movie starring Whoopi Goldberg. How did the idea for this show come up? Alan and I were approached by Peter Schneider, the former president of Disney Feature Animation; he wanted to direct a Sister Act musical, and since there were rights issues with using the Motown songs from the film, he was hoping we’d do an original score. At the time, we were working on Leap of Faith and turned him down because we didn’t want to do two gospel musicals. But in trying to figure out a way to make the collaboration work, we hit upon an interesting idea: what if we re-set the story of the film so that it took place in the 1970s? Placing it in that time period felt as though it would help increase the tension between the sacred and the profane that fuels so much of the plot…and not coincidentally, it would allow us to approach the score through a dynamic musical style – disco and soul – that felt underused in musical theatre. As soon as we realized it would work, we were off and running. What challenges did you find in musicalizing this movie? The most difficult issue, really, had to do with the script. In the film, it takes quite a while for Deloris to get to the convent, because there’s a lot of set-up that needs to be in place to make the story work. We have the same issue in the show, but for some reason it feels as though it takes forever to get to the convent, even though we do it much faster than the film does. We tried many, many different ways of launching the show in a more exciting way, each of which caused different structural problems later in the story. Honestly, I’m not sure we ever completely solved it – the first ten minutes of the show still feel a bit long, but we’ve trimmed it down pretty tightly, and once we get past the initial hump the story really takes off. Incidentally, I’m not sure I would agree that Sister Act is the most memorable project I’ve done with Alan! I think Tangled is probably better known – certainly, it’s the biggest hit we’ve had. We’ve just finished a one-hour stage version of it for the Disney Cruise Line, with three new songs – hopefully, just a prelude to a full Broadway version. You’ve also collaborated in the stage adaptation of The Little Mermaid, for which you wrote the lyrics of the additional songs composed for the show. How defying was it to create words for a libretto Howard Ashman had contributed to years ago? Did you take into account his writing style when penning your own lyrics? I’ve always loved The Little Mermaid, and was absolutely thrilled to be asked to work on the Broadway version. That being said, it was a bit of a thankless job – it’s almost impossible to write new songs that don’t pale in comparison to the melodies that people have known and loved for two decades. And compounding the problem, Howard Ashman had placed the original songs perfectly for a three-act film structure…but a bit awkwardly for a two-act musical structure. For example: “Part of Your World” is a wonderful character-defining moment that arrives right at the climax of Act I in the three-act film; but in the two-act show, it arrives more than 30 minutes into Act I…and it’s a little weird in a musical to have a lead character not sing until that late in the show. This meant that we had to write a new song that captured Ariel’s character that would precede “Part of Your World”, but one that wouldn’t step on that song’s content or diminish it’s impact when it finally arrived – a difficult trick to pull off! Same for Ursula, as well as Sebastian. So yes, it was more than a little daunting – I was being asked to measure up to Howard’s brilliant original lyrics, while those same lyrics necessarily required that I tackle weaker song moments. Luckily, I did have those original lyrics as a guide to lean on, and I drew heavily from the Ashman playbook: using a light, almost irreverent touch to frame the more heartfelt moments, turning land-based phrases and idioms into aquatic-based ones, and of course cramming in as many fish jokes as possible. We generated a vast amount of material for Mermaid – probably 40 full songs and fragments of another 20, of which only 15 or so ended up in the final version of the show. The one I regret losing the most was a song for Triton called “How Do You Deal With a Teenage Girl?” In the current incarnation of the show, Triton sings a few fragments here and there, but never gets a full song of his own. You’ve also worked with the ‘King Midas’ of musical theatre, Lord Andrew Lloyd Webber, in the creation of the sequel of his worldwide celebrated Phantom of the Opera. How did you get the chance to take part in such an ambitious project? Andrew had come up with a synopsis for the show with the writer Ben Elton, and had written almost 90 minutes of music based on that outline. We had been introduced through a producer we had both worked with, and Andrew sent me the outline and asked for my dramaturgical opinion. At that stage, the story had a lot of big emotional moments but felt very long, with very little action. I made a number of suggestions about how to pull those moments into a tighter structure and Andrew was apparently intrigued enough that he gave me a piece of music, meant to be the big ballad that introduced the Phantom, and asked me to more or less audition by writing a lyric for that moment. What made this show feel different from the original is that the story made the Phantom a hero, rather than the putative villain, and I tried to capture a mood and a voice for him that would let the audience empathize with him immediately. A week later I sent Andrew the lyric for “’Til I Hear You Sing”, and he brought me on board permanently that same day. 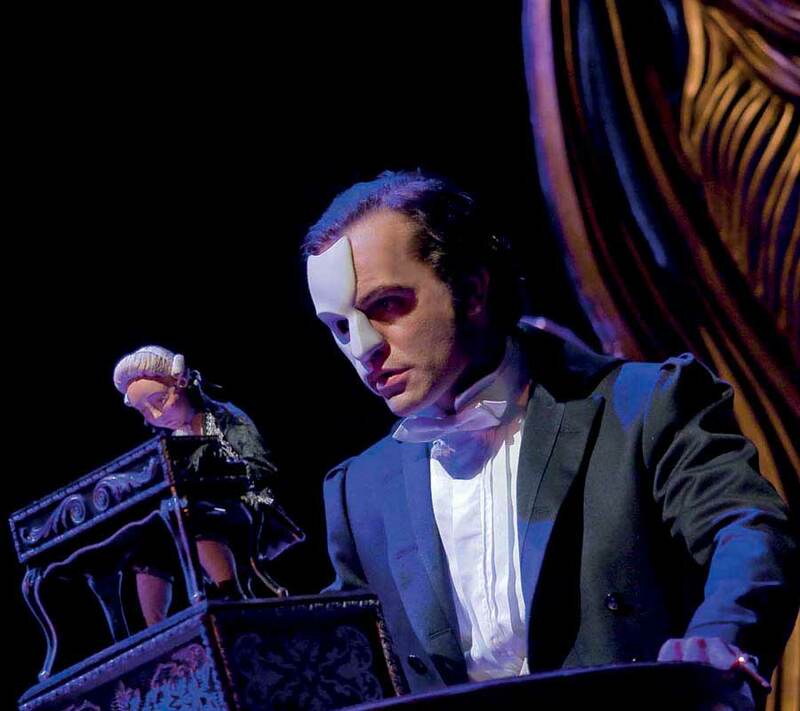 The Phantom of the Opera has been the most acclaimed musical in History for years, as well as Broadway’s longest running show. How challenging was it to write the libretto of its second part? During the creation of the show, were you scared by the responsibility you were taking? Working on the libretto for Love Never Dies was enormously challenging. As I mentioned earlier, Andrew had a very specific story that he was highly invested in telling, and he had already created almost 75% of the music. Essentially, my job was to boil down a very long and complicated synopsis into a story that could fit onto the melodies he had already written, while also giving the plot a sense of urgency, providing enough back-story for audience members who had forgotten the details of the original show, and creating plausible-enough explanations to cover up the holes in the story. Creating an original musical (meaning, one not based on an already-existing property) is hard enough; doing it under these circumstances was super-tough. I wouldn’t say that I was “scared” by the responsibility of creating a worthy sequel to the most popular musical of all-time; honestly, while we were doing the work I was too absorbed in problem-solving to worry about that. But we were absolutely aware that the show was going to be judged by how it compared to Phantom, and that’s a pretty towering yardstick to be measured against. Ultimately, I think that we ended up with a fantastic show, one that has a few plot problems but is nonetheless gorgeous and haunting. You’re currently working on a new Andrew Lloyd Webber’s musical, the adaptation of the successful comedy film School of Rock. How difficult has it been to remake this movie as a stage show? It has actually been a relatively fast and smooth process! We began working on it in June of 2014, and were finished with our first draft by December. After a little more tweaking we did a public workshop in New York in May of 2015, and we’re now making some final changes before starting rehearsals for the Broadway production in September. So from start to opening, the whole thing will have taken less than a year and a half. Part of what has made it so delightful to work on is the story itself – the characters are just so much fun, and live life at such a high pitch that the moments when they burst into song almost write themselves. It has also been a sort of rejuvenating process for Andrew: for the past few years, he has been working on darker and more serious pieces, with very complex music, but School of Rock is obviously much more upbeat and joyful, and he is very much enjoying going back to his rock music roots and writing relatively simple pop songs (as opposed to his usual through-composed quasi-operatic pieces). People forget that Andrew pretty much created the idea of the rock opera with Joseph and Jesus Christ Superstar! He’s been having so much fun going back to that style of song-writing, and it’s made the whole process a blast. School of Rock has been an immensely popular movie. Are you afraid of the comparisons the audience might make with the original version? Not at all! We’re not re-inventing the wheel on this show; we’re sticking pretty close to the story everyone knows, and we’re even keeping three or four of the best songs from the film. Basically, we’ve just found the moments where music can amplify the emotional beats of the story, and taken those moments to new heights. If you loved the movie, you’re going to love the show! If you had to choose one thing that makes this show unique, what would it be? Oh, without a doubt, our cast of kids! They all play their instruments live on stage, and they are absolutely amazing – these aren’t “Broadway kids” playing at being rock stars, they are truly gifted players, and they rock really hard! So much fun watching them! Apart from this musical, do you have any other projects coming forth? Alan and I are currently working on a television program, a medieval musical comedy, called “Galavant”; the second season airs in January. We’ve also been working on an animated TV series based on “Tangled”, and we’re having a pre-Broadway tryout of our show “A Bronx Tale” in February. On my own, I’m writing the book for a jazz musical set in the beatnik era, called “Beatsville”, with a score by Wendy Leigh Wilf, who also happens to be my wife; hopefully, that will get a production in late 2016. And there are a couple of other projects that I can’t talk about just yet, but…pretty exciting stuff!.